The police have awakened to the lawlessness involving the operation of minibuses. Earlier this month, 81 bus operators on the Route 40 to 48 areas participated in a workshop on appearance and conduct. 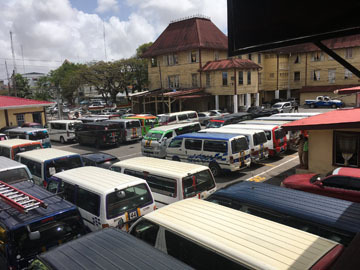 This came after the Ministry of Business and the United Mini-bus Union (UMU), on January 4, 2019 approved the long-awaited Code of Conduct for Minibus Operators. 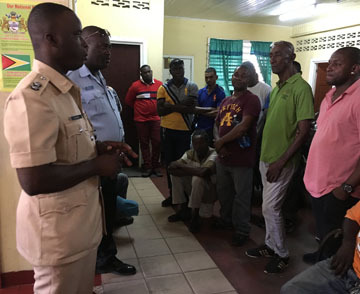 On March 7, the police force’s Brickdam Traffic Department concluded a three-day lecture session on appearance and conduct of mini-bus operators. The lectures were conducted by Assistant Superintendent, Forbes Browne; Inspector Gavin Boyce and Sergeant Wickham, along with other ranks of the department. 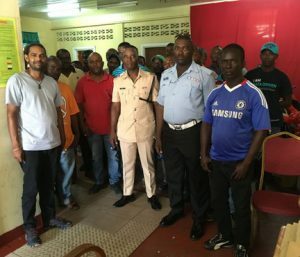 Among the topics raised were overloading; loud and degrading music; driving under the influence of alcohol; speed limits; racing on the roadways and the courtesy by drivers and conductors to passengers. The other areas also include personal hygiene; solicitation of passengers; maintenance and cleanliness of the vehicles; clothing; documentation and assistance for the elderly a nd the differently-abled.